The latest instalment of Sky Sports’ “Face-Off” has aired, and it was the turn of the big men, as rival heavyweight champions Anthony Joshua and Joseph Parker sat across from one another as questions were fired at them; the cameras catching every reaction, every show of confidence, every twitch of doubt. While there was plenty of mutual respect on display from both the WBA/IBF ruler and the WBO champ, there was also plenty of tension in the air. Both men, unbeaten and aiming to become THE man at heavyweight, appear to be loaded with confidence and though trash-talk is something both the British star and the New Zealand Hero try to stay away from, there were some memorable sound-bites that were picked up on. 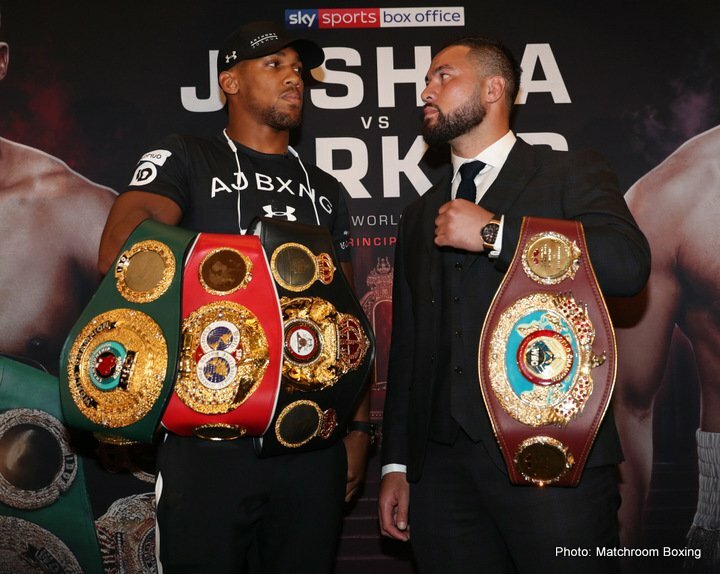 As fans know, Joshua, in eventually earning a ton of respect with a thrilling win, came oh, so close to being beaten and derailed by Klitschko almost one year ago. And while the good that came from that fight and performance far outweighs the bad, there are those who point to Klitschko’s age (41 at the time of the AJ rumble) and lack of activity (17 months out of action going into the April 2017 fight). Parker on the other hand, is young, perhaps at his very peak, and he has never endured a long layoff of any kind. Is this fight, just under three weeks away, going to be a lot tougher than Joshua is perhaps anticipating? Might we even see a great, great fight on March 31? Plenty of good judges have gone on record saying they feel this one has a good chance of going the full 12-rounds. If this proves to be the case, which heavyweight benefits? Previous boxing news: Can Luke Campbell defeat Vasyl Lomachenko?